Mold tends to appear in somewhat small amounts in fairly concentrated areas. If you find mold in your home or if you suspect mold might be present, you may be tempted to remove it yourself. This is a mistake! Whether the warning signs take the form of discolored walls or a musty smell in certain parts of the house, the symptom it points to is clear. 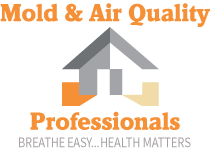 Mold in your home is no joke, and can ultimately lead to health problems for you and your family.